Lelo in Nopo: It's time for another round of, Where's Wink? 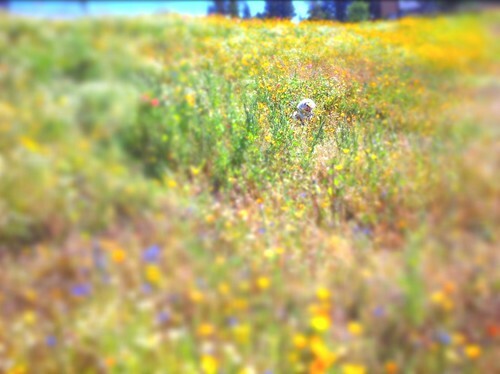 Can you find the cute white dog? Great shot! Lovely place to play. Gota say that is a pretty wild picture..
yuo take that in the last week? !? wink !! you go girl ! !